I remember first reaching out to Judith from Toko events and her enthusiasm and attentiveness was unsurpassed. She is so gifted and so good at her job. They executed our vision and it was incredible to finally see everything come together. The lead up and day ran so calmly and smoothly with so many compliments from our family, friends and vendors too, which is a testament to their professionalism and dedication. We are so grateful for their heartfelt support and advice. And it was so lovely and lucky to be able to share this experience with them. Judith and Toko Events hands down made our wedding the best day of our lives… and a lot of that comes down to Judith's behind-the-scenes, stealth and swift ninja-like decision making. We honestly couldn't recommend her highly enough. From first meeting Judith over a casual post-work wine, her organised yet easy going nature made everything seem seamless and even enjoyable! From helping us figure out what we wanted, to sourcing suppliers from near and far, to solving annoying wet weather just-in-case plans, she had it covered and was always available and patient. But the absolute best thing that we would recommend to any couple-to-be, is to have Judith oversee your big day. Knowing that she was there organising all suppliers, overseeing the setup and fielding any last minute problems meant that we didn't stress out AT ALL on the big day. We happily left everything in Judith's capable hands as we knew she'd nail it...and she did. Toko Events looked after our wedding day and it was the best decision we made! Judith took all the stress out of the planning process and she was there on the wedding day making sure everything ran smoothly. She is SO bloody incredible! We are very busy people so we were probably not the easiest clients to deal with, but she made it all work. We can't thank Judith and the TOKO event team enough. Words just don't do it! Love Jai & Leelou. Judith’s super calm nature, up-beat and can-do attitude was the missing link for bringing our vision to life. 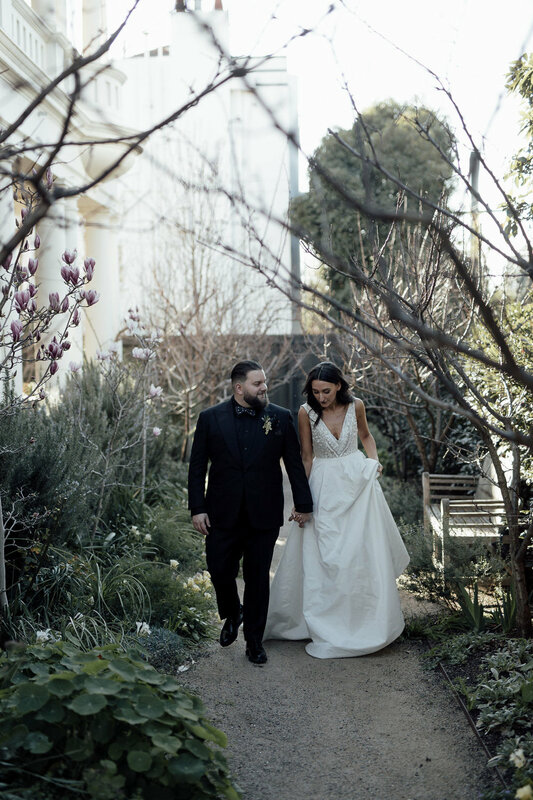 We absolutely loved having Toko Events co-ordinating our special day. Initially, we were quite hesitant to engage a planner as I’m very hands on and had a pretty good idea of what we wanted everything to look like (aka not the ideal client). However, they were so fantastic, going above and beyond for us, always available to bounce ideas off and literally no job was too big or small. Judith is super professional but carries herself in this trademarked down to earth manner ensuring everything ran smoothly, racing between venues to setup and coordinate suppliers and even managed to keep us both calm. We seriously can't speak highly enough of Judith and the team at Toko Events, highly recommend them to everyone! Thank you so much for helping us make our wedding day literally the best day ever. It was exactly how we hoped it would be! The ceremony at Immerse Winery was beautiful, and the reception at Linley Estate as spectacular, better than what we envisaged! We honestly cannot thank you enough for what you did for us, especially as we were interstate! A perfect team for a perfect wedding, thanks again and miss you! When my partner suggested that we hire a wedding planner, I was adamant that we didn't need one and that it would be a waste of money... but boy oh boy, was I wrong!!! Toko Events is worth their weight in gold, and then some. They worked seamlessly with our other suppliers and were a great hit with our wedding party. Thank you so much for making our wedding quite simply, the best day of our lives. "Toko Events were our number one creative problem solver and did all stressful jobs with the biggest smiles! It made our entire experience so much more enjoyable." Toko Events are a spectacular event planning team - friendly, professional, efficient but relaxed throughout our process. They had incredible recommendations about cost effective and trendy hire places, florists and decoration ideas. I was called on multiple occasions to just "check in" and make sure I was feeling ok, especially when they could tell we were a little stressed (when our wet weather plan fell through a few days before the wedding!) On the day, they gently but assertively made sure everything went off without a glitch... and it did! Honestly, couldn't have done it without Toko Events. "They were professional, reliable and had a warm and calm disposition." Toko Events took over all the wedding coordination, which meant we could sit back, relax and enjoy the time prior to the wedding. We were so delighted with the support we received from Toko Events. On the day, they ensured everything ran smoothly and seamlessly. We could not have been happier with our celebrations and how well coordinated it all was. The wedding totally exceeded our expectations and was better than we ever could of imagined. Toko Events were on board with the planning, organisation and management of our wedding day and we couldn't have asked for a better experience. Toko went above and beyond to ensure smooth roll out of the event - we did not have to worry about a single thing and the timing was impeccable throughout the ceremony and the reception. "Toko Events shared our passion and creative flare and brought our vision to life." One of the biggest challenges was planning a wedding that would envelop our values, personalities and most importantly, our love. Hiring a wedding planner was not something that was on our radar, however 6 weeks before the wedding (when things were slowly slipping out of reach) the team from Toko Events rescued us! They were available around the clock and their efficient and professional nature made even the most daunting of tasks seem simple. Many of our suppliers are still raving about how wonderful it was to deal with them! If you are looking for a team that is warm, fun, passionate and unbelievably talented, you cannot go past Toko events! Toko Events came on board just over a month before our wedding. From the minute we met we knew that our wedding day would be stress free. Toko Events took control in an easy, relaxed and extremely capable manner making suggestions about styling the venue, furniture requirements including the number of seating and the type of tables and more! Through their contacts in the industry, they organised all the details required to create the backdrop to what was a fantastic celebration. Choosing Toko Events was the best decision I ever made, their creativity, input, and organisation meant I felt excited about the big day from the word go. I would highly recommend the team to anyone!